Facebook is reportedly working on an app for Smartphones that will track the location of users, according to sources speaking to Bloomberg. The app will be used to find users’ Facebook friends that are in the same geographic proximity. It is set to debut in mid-March, and will supposedly run even when the app is not open on a user’s device. If the rumored app comes to fruition, it’s certain to raise an immediate firestorm from privacy watchdog and consumer groups alike. It is expected that the location data gathered from the app would be used to customize advertising for users, and many people aren’t comfortable with their physical location falling into the hands of marketers. However, it’s unclear if users will be asked to give their consent for this app, or if Facebook will automatically begin pulling people’s locations. The Bloomberg article states that users may have already given Facebook permission due to a clause in its Data Use Policy. It also isn’t clear if the app will be a stand-alone feature or will simply run constantly as part of a mobile users’ Facebook profile. The app is similar in practice to what the site already runs with its Places feature, a function that allows users to check in to a physical location. However, the ability to tailor advertising and find Facebook friends in your area would take this reported app a step beyond anything the site has attempted before. 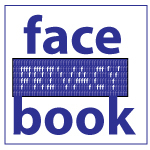 One thing is certain: you’ll hear a lot more about this as mid-March approaches, both from Facebook and its detractors.